Every woman needs a statement piece. Surround your silhouette with the memorable mention of this rag & bone™ Field Waist Belt. 100% leather wide waist belt. Front exterior slender band for adjustable wear with silver-tone hardware buckle closure. Product measurements were taken using size MD/LG (30"-33"). Please note that measurements may vary by size. 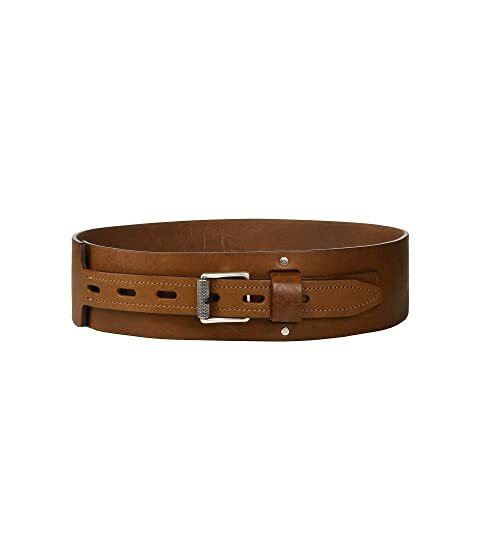 We can't currently find any similar items for the Field Waist Belt by rag & bone. Sorry!